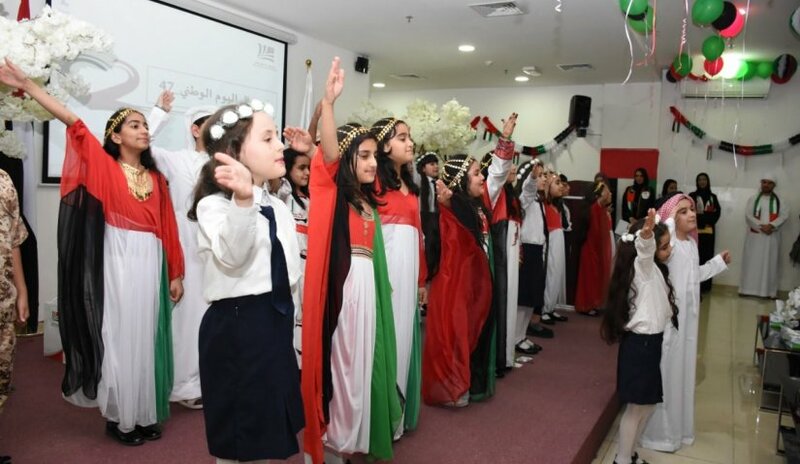 Al Falah University celebrated the 47th National Day of the United Arab Emirates, which marks the centennial of the birth of the late Sheikh Zayed Bin Sultan Al Nahyan making 2018 the "Year of Zayed". The event includes recreational activities inspired by UAE folklore and interactive and entertaining shows. The President of the University, Prof. Abdelhafid Belarbi, Vice President for Academic Affairs, Dr. Sameer Barghouthi, college deans, academic and administrative staff members, students and guests all joined together in one celebration. The ceremony began with the national anthem and the reading of verses from the Holy Quran. Prof. Belarbi welcomed everyone followed by students’ presentations of poems, songs, and traditional dances.